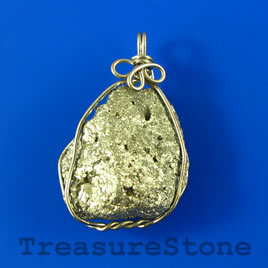 Pendant, Pyrite, 23x28mm. Sold individually. 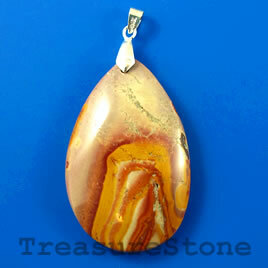 Pendant, Jasper, 33x52mm teardrop. Sold individually. 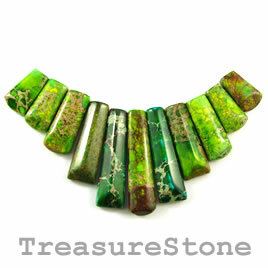 Pendant, dyed jasper, 38-17mm graduated top-drilled. Pkg of 11.